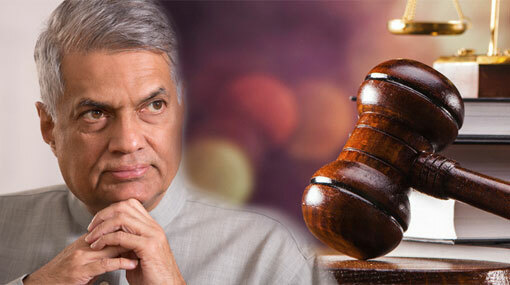 Preliminary objections have been raised against the petition which seeks Quo Warranto preventing Ranil Wickremesinghe from being a Member of Parliament. The petition was taken up before the Court of Appeal judge bench consisting of Justices Shiran Gunaratne and Priyantha Fernando today (12). The attorneys representing the respondents of the case, Prime Minister Ranil Wickremesinghe, UNP Secretary General Minister Akila Viraj Kariyawasam, Bank of Ceylon and People’s Bank, had raised preliminary objections seeking the void of the petition without hearing. President’s Counsel K. Kanageeswaran appearing on behalf of PM Wickremesinghe stated that the petitioners have submitted neither original copies nor certified copies of the documents they had presented along with the petition. Stating that this is a violation of the Supreme Court’s rules, PC Kanageeswaran, hence, sought the Appeals Court to void the petition without conducting a formal hearing. Presenting submissions confirming the preliminary objections, the attorneys representing UNP Secretary General, BOC and People’s Bank, said that failing to name the Attorney General as one of the respondents of the petition is a defect of this petition. Representing the petitioner, President’s Counsel Uditha Ihalahewa sought the court for more time to present submissions regarding the objections. Accordingly, the Appeals Court ordered the petitioners to present submissions on February 26. The petition, filed by Sharmila Gonawala, the Co-President of ‘Women for Justice’, states that PM Ranil Wickremesinghe is a shareholder of Lake House group and that Lake House Printers and Publishers PLC, a company in that group, is engaged in the business of printing of check leaves for the state-owned Bank of Ceylon and People’s Bank.